There are many different types of hosting packages available on the market. As a website owner, you have many options to choose from depending on your needs. You can choose hosting environments based on platform, resources or control panel. Most importantly, you probably want to make sure that you are not overpaying for your hosting package. If you pay too much, you end up wasting important resources. Meanwhile, a package that is too small could end up losing you visitors. In this post, we’ll share with you how to choose a hosting package that finds that balance between price and performance. Similar to other budget offerings, a budget shared hosting account can look attractive upfront. However, you may end up paying for the difference in the long run. For example, you can find many hosting offers for as little as $1 per month. These plans are called starter plans because there are many restrictions and limitations. Even if you don’t fully understand all the limits, your new website could get throttled if it receives too much traffic. This might be an option if you only need a website for the most basic usage without much traffic. You can keep your hosting costs lowest with a budget shared host even though it will have very little room for increasing traffic. When you are getting started with a website, shared hosting is the cheapest option. If you find a quality shared hosting provider, they can save you money in the long run. Some of the super cheap shared hosting packages below $5 per month tend to overload their servers. You would have to find a quality provider that ensures each server has enough resources for their customers. Usually, you can find this out by reading reviews about different shared hosting companies on third party review sites or apps. Another way to keep costs low, sign up for a WordPress specific hosting package. These types of packages will take care of your WordPress website updates, backups and security issues automatically. You can upgrade your hosting plan to match the level of traffic that you are receiving. This gives you the flexibility to pay for the resources that you need. Whether you get 10K monthly visitors or over 50K monthly visitors, a wordpress specific hosting package can be highly cost effective. It stops you from overpaying while offering the performance of higher tiered packages for a fraction of the cost. Virtual private servers are a cheaper alternative for established websites. You will still receive semi-dedicated resources, giving your website access to much more capacity. These additional resources are essential for websites that have plenty of traffic. Especially if you are receiving over 100K monthly visitors, you may need a high level VPS package. Still, this will save you money rather than spending it on a dedicated server. Importantly, it can handle the significant amount of traffic that you website attracts with a price tag under $60 per month. 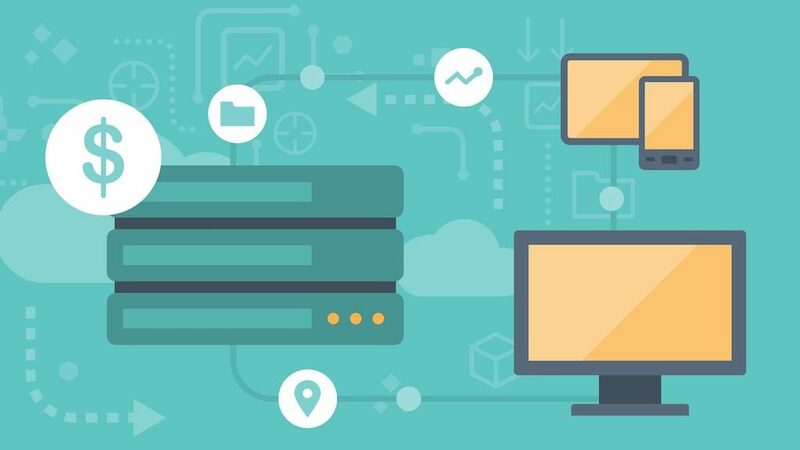 While this might sound like a higher price, it’s important to choose the right hosting package according to your traffic levels. Additionally, you can check out newer cloud hosting packages. Many hosting providers are slowly, but surely moving to cloud hosted environments because of security, stability and scalability. If you host on a single server, it can be nearly impossible for your website to handle traffic that goes above the limits of the server. By contrast, the cloud hosting package gives you additional resources as needed. Since the website is stored on a cluster of servers, your website can utilize a higher amount of resources. The best part is that you only pay for the resources that you use. At a high traffic level, this could end up saving you money on excess resources that you normally have to pay for with a single server hosting environment. As we have seen, you have quite a few options to keep your costs low when choosing a hosting package. Depending on your website needs and traffic levels, you can get hosting that fits your current needs. Then, as you website grows, you can upgrade to a larger package so you don’t unnecessarily pay for unused resources. If you are just starting out, check out a budget or high quality shared host. If you’re on WordPress, consider a wordpress hosting plan. As your website grows, upgrade to a VPS hosting package or cloud VPS hosting environment. These packages will all help keep your costs low by not overpaying for unused resources.